Most of us who choose to call Saigon home have learned not only to live with its quirks—the incessant traffic, the shark-plagued internet, late-night, off-key karaoke from the neighbors, and the heat and humidity that’s especially intolerable this month—but to embrace them as all part of the wonderful experience that is HCMC. The secret to happiness (and sanity) are quick getaways every now and then. Thankfully, in a country with 3,260 kms of coastline, the beach is never far away, even in landlocked Saigon. The French were on to something when they developed the small port town then known as Cap Saint Jacques as their colonial playground, just 125 kms southwest of Saigon. A hundred years on and Vung Tau is still the place to go for some quick R&R by the sea. Here’s our guide on how to beach like a rock star without breaking the bank. Step 1: Grab a group of friends willing to play hooky on a random weekday. While Vung Tau’s beaches are great any day of the week, the crowds peak on Fridays, Saturdays, and Sundays. Sneak away during the week and practically claim your very own stretch of sand. As a bonus, fewer visitors means better service and even reduced prices. Step 2: Travel in style. Thanks to the 2015 opening of the Ho Chi Minh City–Dong Nai Expressway shaving the distance to Vung Tau down to just 95 kms, the road option takes about 2 hours, the same as the fast boat, but with the convenience of stopping wherever you want and even getting dropped off at a specific location. We booked out a minivan at just over USD5 per way per person. Settle in with headphones, a tablet and snacks and you’ll be from door to beach in less time than it takes to watch a movie. Or get the party started early by bringing blue tooth speakers and letting the DJ wars commence. Step 3: Be treated like a celebrity at the Beach Club at The IMPERIAL Hotel on beautiful Bai Sau Beach. 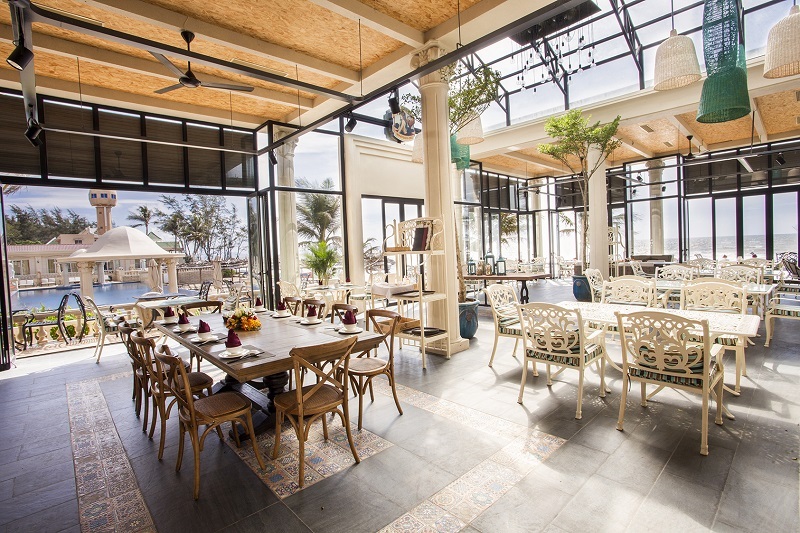 Skip the ratty lounge chairs in front of the sad, overpriced beach restaurants and head directly to what is hands down the best beach club in Vung Tau. Modeled after Roman baths, The IMPERIAL Beach Club is a haven of affordable luxury with a 50m-long infinity pool overlooking the ocean, rows of wrought iron sun loungers under oversized umbrellas, the city’s only 100m-long private beach, and excellent facilities including plush beach towels, shower rooms and Wi-Fi, all for a day pass of just over USD10 a person. Step 4: Splurge on a private cabana. Move up from regular celebrity to rock star status with your own private cabana. For as little as USD9 per person for the entire day, upgrade to your own private indoor space with sofas, bathroom, outdoor shower, television and more. We found the cabanas great for stowing away our things and for anyone wanting a quick nap in privacy. Pro tip: Book cabana #13 and get double the space with your own private terrace just steps from the sand. Step 5: Indulge in all-day snacks and tasty, value-priced meals at La Sirena Bar & Grill, the club’s on-site restaurant. Order fries, burgers and pizzas right to your beachside lounger, or grab a seat in the contemporary-chic restaurant by the pool. Portions are reasonably priced and exceptionally generous. Everything we ordered got rave reviews, especially the Sweet & sour spare ribs with tri-color peppers, the Sate octopus that was fresh and tender, and the spicy Tom yum soup with prawns and fragrant lemongrass. Step 6: Plan for a longer stay. By the time the minivan came to pick us up for the return ride, we all wondered where the day had gone. Between bodyboarding the waves, lounging by the pool, playing cards on the beach and downing copious amounts of tropical drinks, the day had simply flown by. 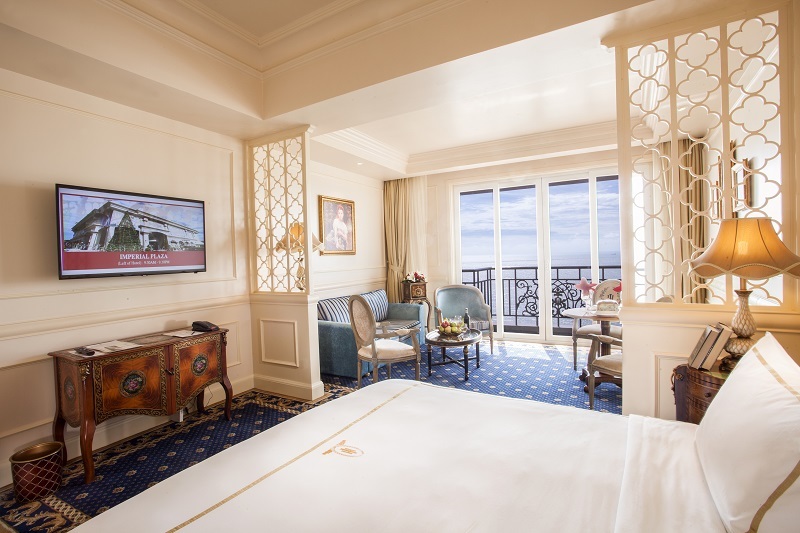 We vowed to make it an overnighter next time with a stay at The IMPERIAL Hotel, Vung Tau’s only 5-star hotel with its own private beach, spa, tennis court, gym and more, all conveniently connected to the Beach Club by skyway. 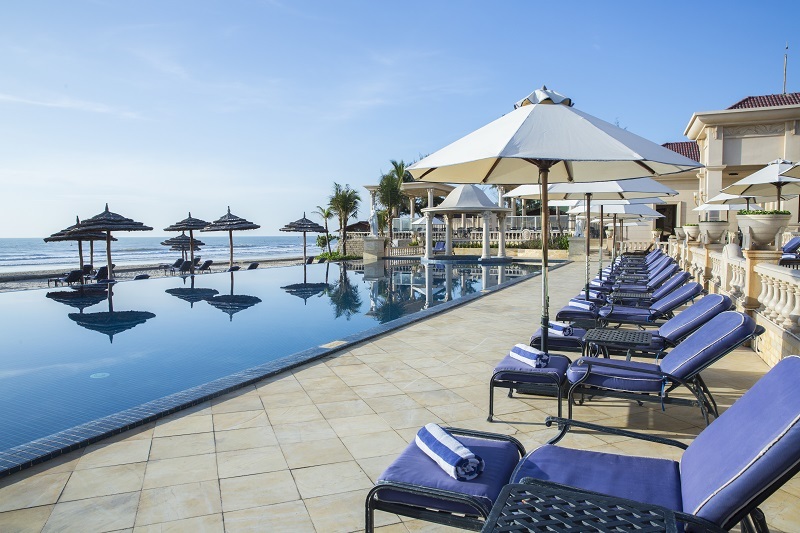 Full- and half-day passes for The IMPERIAL Beach Club start at just VND250,000 for weekdays. A single cabana (including club access for 4 adults and 2 children) starts at VND1.3m. For more, visit www.imperialhotel.vn or call (+84) 254 362 8888. 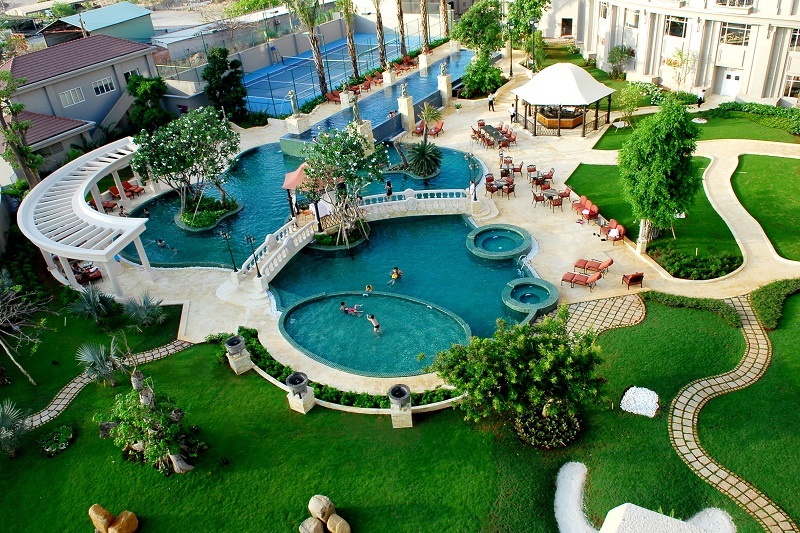 Hoa Mai (www.hoamaivungtau. com.vn) provides shuttle service every 15 minutes between Saigon and Vung Tau starting at VND90,000 per person/way with various pick-up points around the city. VIP minivans are also available from their D1 office as is the option to charter entire minivans with home pick-up.